Caldecott Medalist Marc Simont's heartwarming tale of a stray dog is told with tender simplicity and grace. When a little dog appears at a family picnic, the girl and boy play with him all afternoon, and they name him Willy. At day's end they say good-bye. But the dog has won their hearts and stays on their minds. The following Saturday the family returns to the picnic grounds to look for Willy, but they are not alone—the dog catcher is looking for him, too! Marc Simont was born in 1915 in Paris. His parents were from the Catalonia region of Spain, and his childhood was spent in France, Spain, and the United States. Encouraged by his father, Joseph Simont, an artist and staff illustrator for the magazine L'Illustration, Marc Simont drew from a young age. Though he later attended art school in Paris and New York, he considers his father to have been his greatest teacher. When he was nineteen, Mr. Simont settled in America permanently, determined to support himself as an artist. His first illustrations for a children's book appeared in 1939. Since then, Mr. Simont has illustrated nearly a hundred books, working with authors as diverse as Margaret Wise Brown and James Thurber. He won a Caldecott Honor in 1950 for illustrating Ruth Krauss's The Happy Day, and in in 1957 he was awarded the Caldecott Medal for his pictures in A Tree is Nice, by Janice May Udry. Internationally acclaimed for its grace, humor, and beauty, Marc Simont's art is in collections as far afield at the Kijo Picture Book Museum in Japan, but the honor he holds most dear is having been chosen as the 1997 Illustrator of the Year in his native Catalonia. Mr. Simont and his wife have one grown son, two dogs and a cat. They live in West Cornwall, Connecticut. 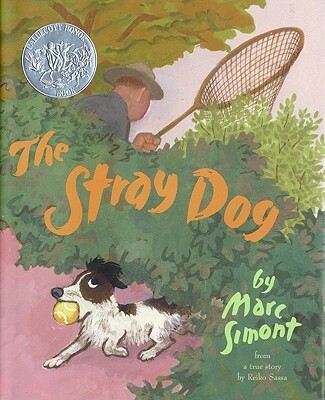 Marc Simont's most recent book is The Stray Dog.